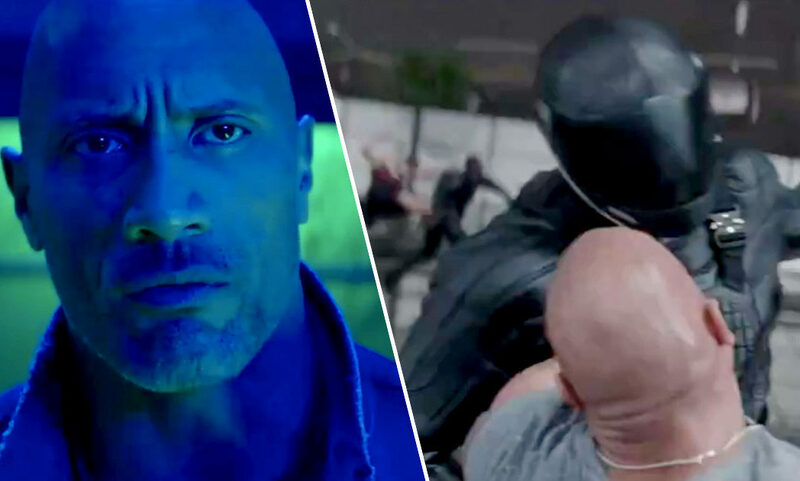 The first brutal trailer for the Fast & Furious spin-off movie Hobbs & Shaw has just dropped. The trailer for the first spin-off from the popular series is filled with ridiculous levels of action loved by Fast & Furious fans. Directed by David Leitch, the man responsible for John Wick, Hobbs & Shaw is set two years after the events of The Fate of the Furious, the eighth Fast & Furious film. Dwayne Johnson and Jason Statham will be reprising their two popular characters, federal agent Luke Hobbs and his old ally Deckard Shaw. The two must join forces to stop a new threat in the shape of Brixton, an international terrorist leader and criminal mastermind played by none other than Luther himself, Idris Elba. British actor Vanessa Kirby also joins the cast playing Shaw’s MI6 agent sister, Hattie. Filming of the movie wrapped five days ago (January 27), with the cast and crew enjoying watching the sun go down on their last day on set. A beautiful sunset like this must mean we just wrapped main unit on our Hobbs & Shaw movie! We created the character of Hobbs back in 2010 with this exact goal in mind and couldn’t be more grateful for our partners at Universal Studios in supporting our vision. Huge thanks to our incredible international crew for their daily grind helping us bring this movie to life….my fellow producers, our director and most importantly this unbelievable cast lead by the big bald brown tattooed guy The Rock. So proud of what we created and can’t wait to share it with you all. The Stath himself also shared a post on Instagram to mark the end of filming, uploading a picture of himself and The Rock looking at a helicopter flying low to the ground. Two haircuts for the price of one! Courtesy of Fred North, indisputably the most skillful heli pilot the world has ever seen. Getting the camera where it needs to be on Hobbs & Shaw for our final days of filming. A massive thank you to The Rock for making this movie happen and for being the toughest, funniest, mountain of muscle I’ve had the pleasure of standing toe to toe with. This one I shall remember brother. Although the trailer gives us a glimpse of what we can expect from the film, Universal Pictures are holding plot details very close to their chest. I would predict there will be plenty of thrilling car chases, incredible stunts and comedy bickering between the two leads. I think it’s going to be a little bit more grounded because it’s the beginning. It’s an origin story, in a sense. It’s not an origin story, but we’re starting a franchise. So we want it to be a little bit more grounded, a little bit more character-centric. We’re going to set up the stakes for these guys and their relationship, but we’re also going to have some great set pieces and some action that you’d expect from that type of franchise. The Fast & Furious films are incredibly popular, so I am sure Hobbs & Shaw will be a box office success, no matter how good it is. 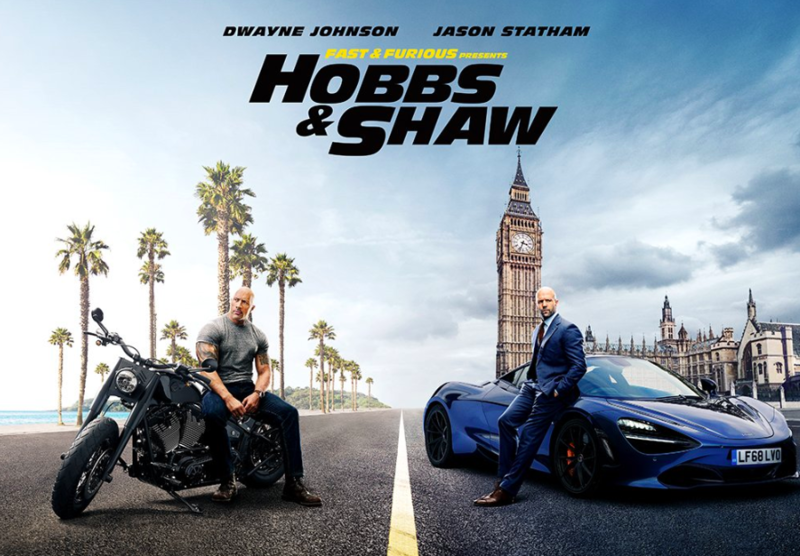 Hobbs & Shaw will race into cinemas August 2.